Before you go to reserve a site, be sure to check out our Reservation Tips! Note! You are about to leave the NY State Campsite Photos website. The link below is to the Reserve America reservations site which handles all reservations for New York OPRHP and DEC campgrounds. The NY State Campsite Photos website is in no way affiliated with Reserve America/reservation system. 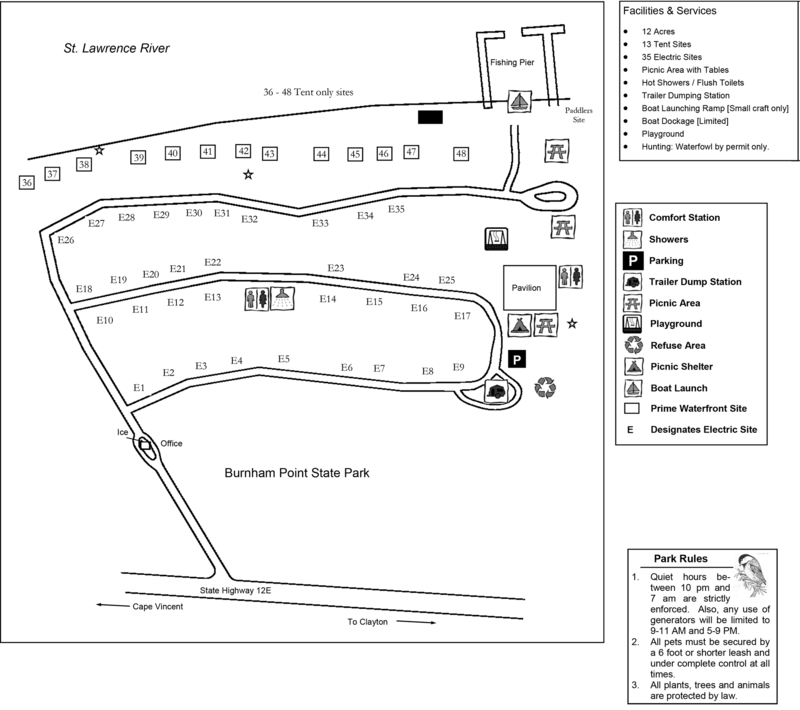 Visit the Reserve America Reservations - Burnham Point website to book a site online. If you wish to call reservations instead, call 1-800-456-3367. Remember to use the NY State Campsite Photos website to view photos of any site you may find available on Reserve America to check it out before booking it!